The project L-Pack2 was successfully concluded on the 30th of June 2016. 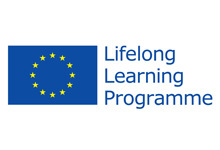 All main outcomes and outputs of the project, including the videos and the written teaching materials, will remain available for free download on the project website and on the YouTube channel for the next 5 years. Between April and June 2016, national conferences were organised in each partner country. 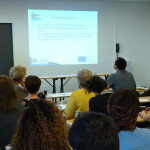 The conferences give the partners the opportunity to disseminate the L-Pack2 course and to inform the main stakeholders and beneficiaries of the project about the project results. 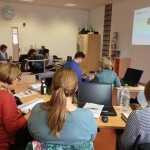 Workshops for L2 teachers presenting how to use the L-Pack training programme have been organised in each partner country over the last few months. During the workshops, the partners demonstrated how to implement L-Pack2 materials into traditional face-to-face courses as well as how to use them for distance learning. On the 25th and 26th of June, 2015 the fourth L-Pack 2 partner meeting took place in Empoli, Italy. The partners discussed the results of the pilot, which started in September 2014 and ended in June 2015. 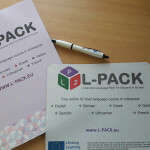 Two new linguistic versions of the L-Pack material – ENGLISH and FRENCH – are now available in the “Download the materials” section of this website. Each version consists of 30 dialogues, 90 exercises, country information, grammar, and vocabulary.